Dr. Dillon takes great pride in providing general dentistry to each and every one of his patients. He believes that dentistry is both a science and an art. Our practice is Holistic centered using the safest materials & techniques. We provide metal free dentistry & don't use any amalgam fillings. Dr. Dillon has been practicing dentistry for more than 25 years. He received his Doctorate of Dental Surgery (DDS) from the University of Southern California (USC) School of Dentistry. Prior to practicing in his current Anaheim California office, he provided care to his patients in the city of Downey. His choice to pursue dentistry was a foregone conclusion as his Father Byron was also a dentist and his Mother Joan a Hygienist. 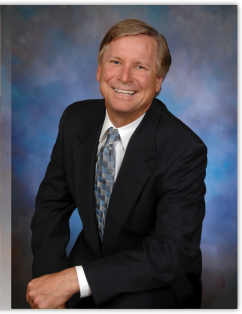 Dr. Dillon belongs to several professional associations - the American Dental Association (ADA), the California Dental Association (CDA), Orange County Dental Society (OCDS), Orange Rotary Club, Anaheim Chamber of Commerce and the Orange County Dental Foundation Study Club. He and his wife Karen have two sons. They are an active sports minded family and enjoy outdoor activities such as biking, boating, skiing, camping and soccer.